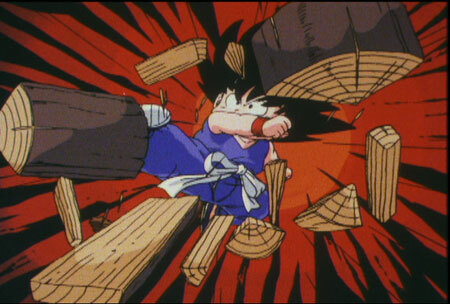 Goku was taught martial arts by his late adoptive grandfather, Gohan, who raised him out in the wilderness. He is extremely strong, agile, and virtually fearless. He'll take on any fight no matter what the odds are if he thinks that someone has been wronged, and he'll usually win. 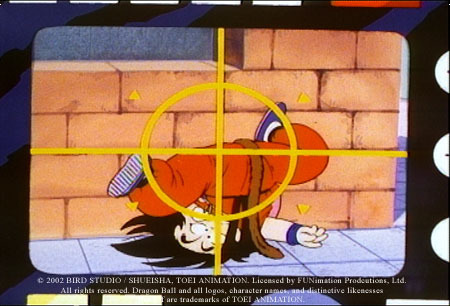 That's because Goku is not just you typical eight-year-old. He sports a tail, is able to fly short distances, and carries a magic fighting stick that stretches to incredible lengths.